Have you lost something? Are you wondering whether it has been handed in to a LiU Lost and Found office? Now you can check online whether it is there. There are many who may not know that LiU has Lost and Found offices, one on each campus. Many items end up here, mainly clothes, although some more valuable objects such as iPads, chargers, keys and credit cards are also handed in. You can visit the Lost and Found offices to check whether some kind soul has handed in your lost possession. Campus Valla, however, has for the past few years has a website where each item handed in is photographed and displayed. The “Look for my” service was set up by students. They needed reference installations, and LiU was given the opportunity to test the system without cost. “The Lost and Found service will be moving into the new student building, but I hope that they continue to use the ‘Look for my’ website. 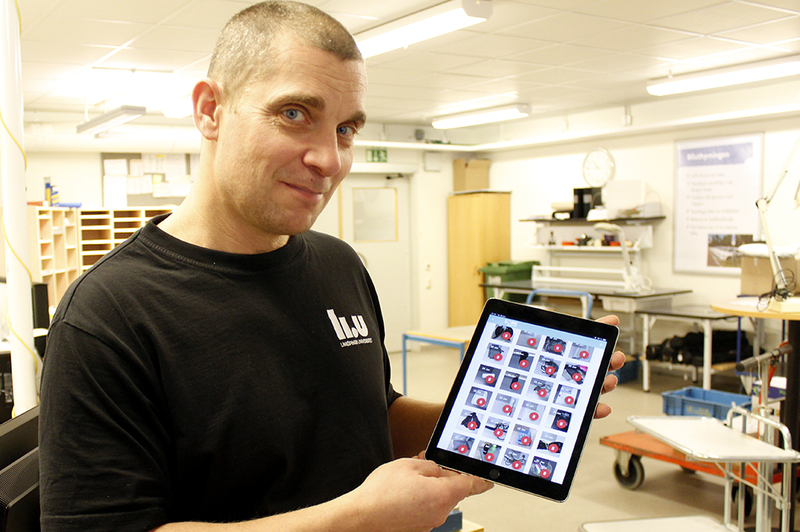 It’s an excellent service that saves a lot of time”, says Johan Cederlund, and shows us how quick and easy it is to take a photograph and upload it. And it’s just as easy to remove it when someone had claimed back a lost item.